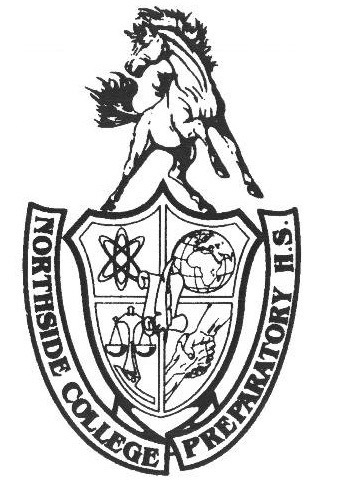 Northside Women’s Tennis took on the Payton Grizzlies on Thursday, Sept. 13, 2018 at their home court in Peterson Park. Knowing that Payton would be difficult competition, the team was nervous, but remained focused and eager to play their best. Despite tense situations, team manager, Matthew Villalon (Adv. 903), kept a positive attitude about the game. “We’ve been working on a couple things and we’re excited to test it out” said Villalon. The game began as freshman Jennifer Labak (Adv. 204) played the first singles, Sophomore Madeleine Yu (Adv. 000) played second singles, freshman Hannah Kaczor (Adv. 207) and sophomore Tanvi Bagal (Adv. 103) played first doubles, seniors Audrey McManus (Adv. 900) and Georgia Bates (Adv. 910) played second doubles, and seniors Sally Kim (Adv. 906) and Isabella McLaughlin (Adv. 900) played third doubles. Labak won her first set with a score of 6-4. Serving well and playing smart, Labak was able to outplay her opponent using both strategy and skill. Labak maintained this energy into the second set and was able to stay consistent in her technique. Her opponent fought back and the stakes grew higher as the game was tied 6-6. Motivated from the cheers of her teammates and coaches, Labak won the tiebreaker, earning her team their first win against Payton. Yu also used the empty spots on the court to her advantage, scoring points with her strong ground stroke. Unfortunately, she lost the first set, winning zero games. However, she maintained a positive attitude and though she lost her second set, her smart plays won her two games, resulting in a score 2-6. On the doubles side, Kaczor and Bagal fought just as hard to keep the Grizzlies at bay. Bagal was able to keep Payton from getting a run, making terrific saves and returns on the deep hits to the back corner. As Bagal excelled in defense, Kaczor played just as aggressively on offense. With Kaczor’s lob hits and volleys, the Payton players were running from the back of the court to the net constantly. However, the Grizzlies were able to stay consistent with Kaczors and Bagal’s plays, returning nearly every single ball as the Mustangs lost the first doubles with a score of 1-6 in the first and second set. McManus and Bates were a little more successful in scoring points against the Grizzlies. Using teamwork and communication, McManus and Bates won two games in each set; however, they also lost both sets with the same score of 2-6, resulting in a loss of Northside’s second doubles match. Waiting for a court to clear up, third doubles McLaughlin and Kim were excited to play their hardest, regardless of how difficult they knew the game would be. Cheering on their teammates and watching how Payton was playing, both players were tense but eager to score some points. McLaughlin and Kim struggled in the first set, losing 0-6, as Payton dominated in both defense and offense. However, after a quick talk prior to the second set, both players were able to discuss strategy. Using the short two minutes to their advantage, McLaughlin and Kim were able to motivate each other as they stayed neck and neck with their opponents. Switching consistently between deuce and advantage, McLaughlin and Kim forced Payton to a tiebreaker. However, Payton was able to close the match with a score of 5-7 in the second set.